"Something Different to Entertain Your Guests?" Are you looking for something different to entertain your party guests? Yes, we'll give you an evening of current and classic tracks to get everyone on the dancefloor but our compered evening entertainment doesn't have to be a traditional disco - the music can suitable for all ages and great for most types of dancing. Don't worry if you can't dance! We teach simple fun dances that everyone can do. Why not look at our selection of themed parties too? 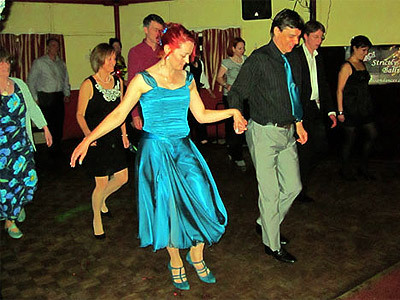 From vintage and ballroom to jive and wartime. We'll give you a taste of glamour. Our digital projector and screen can present a slideshow of your own images plus a selection of music videos too. We work closely with you to ensure the night is just right for you with all the tracks you love and not the ones you really don't want to hear. Required by many venues, Your Party Your Music has a current PLI policy with National Association of Disc Jockeys in the amount of £10 million. Also required by many venues, Your Party Your Music has supplied satisfactory evidence of holding current PAT inspections of their equipment dated within the last 12 months. A Method Statement outlining Your Party Your Music&apos;s Health & Safety procedure for setting up disco equipment has been provided. 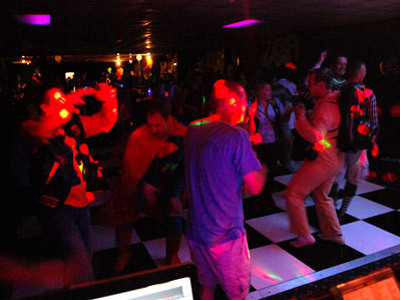 Your Party Your Music has provided Risk Assessments undertaken at events sourced via needadisco.com, indicating that they can undertake these competently. Why do people choose to book Your Party Your Music? "Amazing, really could not have asked for more, he was brilliant and I would highly recommend!! " "Roy kept the dance floor full all night, with a wide variety of music to suit all our guests and ensure that our 'key' tunes were played - would highly recommend!" "Roy was an absolute delight, and did his up most to make sure the entire evening ran without issue. His equipment was fab and the music was great, though there was some issue with some of the songs we had requested. That didn't matter though, and we had an absolute blast. Would definitely use and recommend Roy for any and all future events!" "Roy was brilliant, I didn't have to worry about a thing. He also accommodated our tribute act into the event so everything went smoothly. He was very smart and kept me updated on things. I would highly recommend him and would choose him again. Many thanks, Heidi "
"Roy was an excellent DJ and more he really made sure the correct music was played and it made my 60th Birthday evening very special. I am so glad we chose him. He was very good with the children and interacted with all of the adults. I have been asked by several of the guests where we found him so I have given details to them of the website." 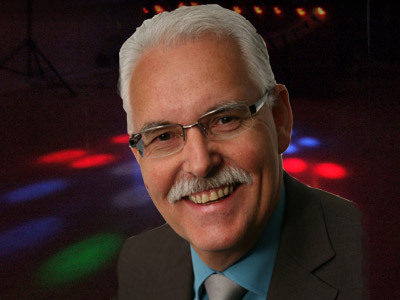 "Roy was excellent, nothing too much trouble, kept the dance floor busy, great DJ"
"Roy was fabulous! Everyone commented on the music and how much they enjoyed it, and the awards ceremony with the slide show and music to go with each person really made the occasion so much more special. We had a fantastic night, and Roy was a big part of it. I would be happy to recommend him to anyone else needing a DJ who goes the extra mile!" "He was brilliant, what ever was asked he did"
"Roy was great! He was very straightforward - advised what he could do and asked about our event and quoted a price. We then talked things through and with his help decided on how we would like things to run. He did everything he said he would. He didn;t let us down...was on time, looked very smart and played good music! Wonderful...would recommend him to anyone!" "We used Roy Gough from Your party your music. He was extremely professional, accessible, and approachable. He constantly asked us if there was anything he could do, accepted requests willingly, and had a fantastic screen with a projection of personal photos & music videos. I would definitely recommend him. Thank you Roy!" "A pleasure to work with such a nice family and their friends. Thank you"
"had a lovely day good music would recomend this dj to friends thanks"
"Thank you. So pleased you enjoyed the day." 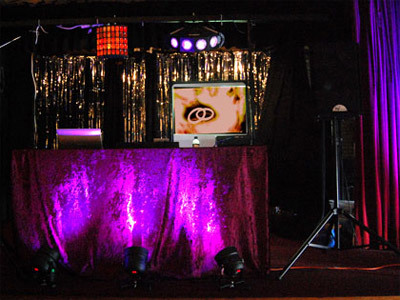 Your Party Your Music also offers a range of additional party services not directly linked to musical entertainment. If you are contacting Your Party Your Music about an event, it's always a good idea to include the DATE, LOCATION, EVENT TYPE, AGE GROUP and TIMINGS to speed things up!